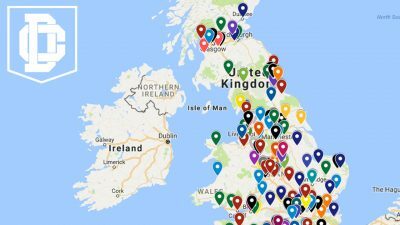 The Premiership North is the perfect exemplar of the growth and development of University American Football in the UK. Home to some of the most revolutionary programmes in the Britball Nation, many of the Prem North's programmes were little-heard-of just a few seasons ago. With the University game moving under the BUCS umbrella, these programmes have worked closely with their parent institutions to develop strong and sustainable football programmes that draw international talent to the British game. If you wanted to write a book on how to build a Uniball programme from nowhere to the pinnacle of the British game? Look no further than the BUCS Premiership North, home of the current reigning National Champions - the Durham Saints.